Since 2005, Dr. Bruno Danis he has been working on SCAR-MarBIN – the Scientific Committee on Antarctic Research (SCAR) Marine Biodiversity Information Network – a database to keep track of marine life and biodiversity in Antarctica. In the following interview, he explains the importance of such databases for scientists and why it is important to keep them running. Could you tell us a bit about SCAR-MarBIN and how the project came about? The SCAR-MarBIN network was set up five years ago under the ægis of SCAR. The objective of this project is to offer a one-stop, free access tool on biodiversity data to researchers, conservationists and environmental managers dealing with Antarctic marine biodiversity. SCAR-MarBIN was set up in a very favourable context, starting up during the International Polar Year as the information component of the Census of Antarctic Marine Life (CAML). What use does SCAR-MarBIN have for scientists? For the first time, scientists have direct access to raw data on biodiversity, which, before SCAR-MarBIN came along, was disseminated via various means all over the world. Some of the information was only available from the researchers who gathered it; the data was stored on their computers and the only public mention of it was in papers they wrote. Now we’ve gathered all this information on biodiversity and put it in one place, where anyone can access it for free. SCAR-MarBIN focuses on two main types of biodiversity data: taxonomy (the classification of organisms) and occurrence data (where and when the organisms were found). We are also increasingly developing data products to help accelerate the publication of valuable information. What use is SCAR-MarBIN to non-scientists? Non-scientists can explore the data to get an appreciation for the biodiversity of Antarctic marine life. Everyone can browse or search taxonomic or occurrence databases and use the tools to download or visualize this information. As I mentioned before, we are putting some extra effort in developing data products that are oriented towards the scientific community, but which also useful for the general public. For example, we have just released the first interactive Antarctic field guides, a modern community platform, which is designed to help non-specialists identify organisms, or allow them to prepare and share their own field guides according to the organisms or the region they are interested in. Additionally, the data is becoming increasingly useful for conservationists because SCAR-MarBIN provides long-term data on organisms which can potentially be impacted by fishing activities, for example. The information the networks provide opens the door to a new approach to conservation: one that takes a holistic approach to preserving ecosystems. How has the SCAR-MarBIN network evolved over the past five years? 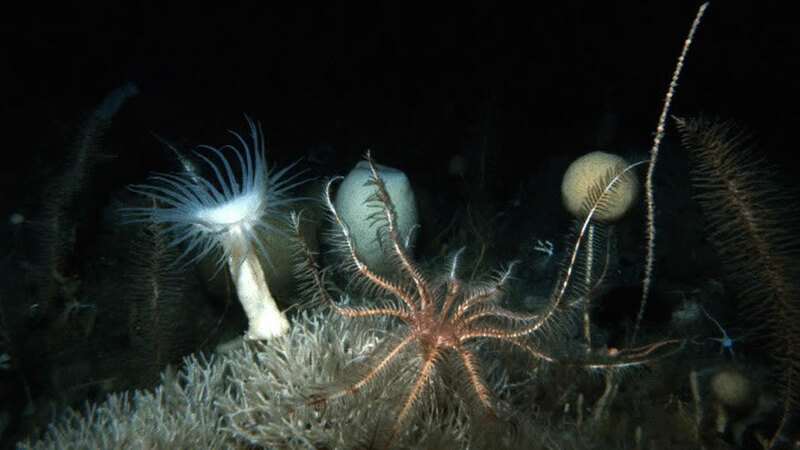 The network started with a Belgian 'nucleus', which included the BIANZO project – a research project which focused on the biodiversity of Antarctic zoobenthos (the animals living at the bottom of the ocean). Bit by bit, the project grew into an international network involving dozens of institutions from almost every country that signed the Antarctic Treaty. At the moment, we’ve collected quite an impressive amount of data, with almost 190 datasets, all of which are now interoperable and which can you can query directly via the website. And 1.2 million records on biodiversity. You can access information on about 16,000 taxa. So it’s grown quite a lot and is has been shown to be increasingly useful to a growing number of people working for various projects. What kind of organizations currently use the SCAR-MarBIN network? As far as we can tell, it is primarily researchers from universities and polar institutes from all over the world who use the network to help them in their research. 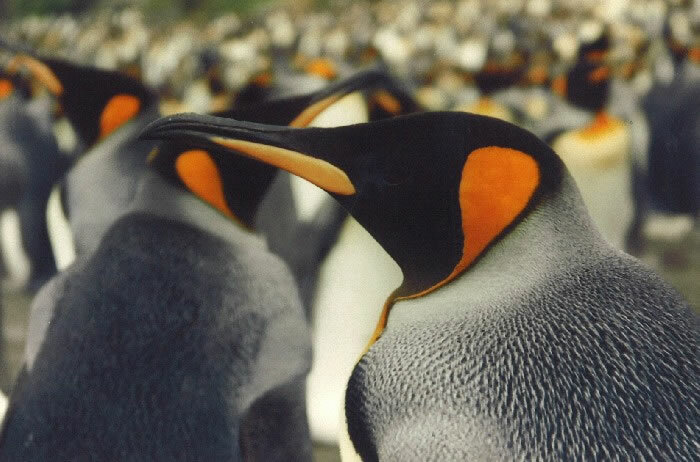 We’re also collaborating with a variety of conservation-oriented institutions such as the United Nations Environment Programme’s World Conservation and Management Centre (WCNC), the Committee on Environmental Protection (CEP) under the Antarctic Treaty System and the Commission for the Conservation of Antarctic Marine Living Resources (CCAMLR). Other users include various groups within SCAR as well as wider biodiversity initiatives such as the Encyclopedia of Life (EOL), the Global Biodiversity Information Facility (GBIF), the Ocean Biogeographic Information System (OBIS), the GEO Biodiversity Observation Network (GEO-BON) or the Southern Ocean Observing System (SOOS). We hope that the variety and quantity of organizations that find our work useful will continue to grow in the future. You’re also working on a new database called ANTABIF, which will include terrestrial flora and fauna in Antarctica. Could you tell us about this project? ANTABIF is another project which started at the beginning of 2010. Like SCAR-MarBIN, it’s also funded mainly by the Belgian Science Policy Office (BELSPO). It’s an overarching project that will bring marine biodiversity information together with terrestrial and limnetic (surface lake) biodiversity information in a single access point. The ANTABIF network will be a node for the Global Biodiversity Information Facility. We envision it to play a role for other biodiversity-focused networks. Another objective of the ANTABIF project is to help publish in collaboration with the International Polar Foundation (IPF) biodiversity data generated by Belgium's new Princess Elisabeth Antarctica Station. Why is it important to keep track of all the organisms living in Antarctic ecosystems? And why is it important to understand the biodiversity of a remote place like the Antarctic? Antarctica is one of the places on the planet that has been strongly affected by climate change, and the changes are happening at a rapid pace. What we’ve been focusing on is gathering enough information to have a snapshot of the situation as it stands today so we at least have baseline information to which we can compare future changes. It also helps in designing strategic conservation tools, which can be used to see how biodiversity in Antarctica responds to changes in environmental conditions and whether certain species or entire ecosystems can cope with these changes. What would you consider to be some of the greatest achievements of the SCAR-MarBIN initiative to date? Apart from the fact that we have reached a milestone in terms of the amount and quality of data we are publishing, I would say that one of the major achievements has been altering some of the norms in the Antarctic scientific community. We’ve brought together a network of experts and institutes, and in doing so, we’ve been facilitating communication of data throughout the community. Before this initiative came along, it wasn’t the norm for scientists to share their raw data freely. Now they’re using the SCAR-MarBIN network. Many new collaborations were born, which helped tighten the networks. This is a major achievement. The SCAR-MarBIN network received a good part of its financial support via International Polar Year funding programs. Now that the IPY is over, you’re currently looking for funding to maintain and expand the network. What kind of organizations are currently funding SCAR-MarBIN and what are your objectives on this front? At the moment, most of our funding is coming from the Belgian Science Policy Office. We’re also getting funding from private sponsors such as the Total Foundation as well as scientific institutes such as the Australian Antarctic Division (AAD), the Alfred Wegener Institute (AWI), the Netherlands Organisation for Scientific Research (NWO) and many others. The main objective is to have SCAR-MarBIN and ANTABIF networks funded over the long-term by a diverse set of international contributors and funding mechanisms. With the help of the International Polar Foundation, we’ve designed a partnership strategy, which we will start applying shortly to optimize our chances to maintain or even expand the networks. Do you have any other ambitions or goals for SCAR-MarBIN and ANTABIF? Where would you like to see them five years from now? There are many ways I could answer that question. From the technical side, we’d like to expand the diversity of the data we’re providing, meaning giving access not only to the raw biodiversity data, but also to present it in a way that is even more readily accessible and useful to non-scientists, in particular those who are working in conservation and management. We’d also like to distribute the burden and responsibilities across the community we’re working for, so that every scientist has a role to play in the network to the point that they feel that contributing to information networks is just a part of his normal scientific activities and responsibilities. From a scientific standpoint, the networks are starting to be useful in addressing more complex questions. I think we are witnessing the birth of a new paradigm in biological sciences, one which involves increasingly using a large amount of diverse data. For example, I like the idea that we might be able to answer questions about the origins and evolution of biodiversity in the Polar Regions. And of course, I hope that in five years the services we provide will have become even more useful and widely used by both scientists and non-scientists. If for some reason the networks were to lose funding, what kind of impact would this have on the scientific community and beyond? In the worst case scenario, if funding were to disappear completely, the data that has already been collected would still be available to our communities via many other sources such as the Ocean Biogeographic Information System (OBIS), or the Global Biodiversity Information Facility (GBIF). However, we won’t be able to continue optimizing and accelerating the flow of data, or develop new tools such as analysis of the data and our tailor-made data products. I think the biggest problem would be to loose the inertia of the networks, and the special coherence of the community they are providing. Beyond the scientific community, I believe people working in conservation or environmental management would also be impacted, losing a very useful tool.